First four lessons for the price of three! 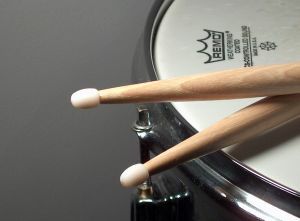 Drum Lessons – Learn through your own influences and interests. Be that Rock / Pop / Blues / Jazz / Hip-Hop / Latin / Funk / R&B or any other style. You may be a complete beginner, an established player looking to improve technique or reading skills, looking for a way to reduce stress, or simply wanting to start a new hobby. Drum Kit Lessons at Staves can include, but are not limited to, aspects such as: music notation / charts, sticking patterns, different music styles, drum-set familiarisation (beginners), practice technique, grip/stick technique, and most importantly, groove, time and feel. Whatever your aims or aspirations, we can help you by providing a tailored plan of tuition that suits your needs, while being fun and entertaining at the same time. Rockschool examinations can be entered if you wish. Book your FREE lesson now by completing the enquiry form below, or call us today to get started today! "The tuition is excellent, friendly and tailored around what I want to do "
"S uper T eachers A lways V ery E njoyable S essions "
"All doubts were laid to rest within minutes of my first lesson "
"Been having lessons for over a year and up to my Grade 4 now! " "Staves enabled me to achieve a standard far beyond my expectations in only 2 months "
"Megan has improved so much since stopping lessons at school and attending Staves "
"In just a short period of time I've developed new skills, they also make a crackin' brew! :) "
"Staves have helped to develop me as a singer in a short time "
"Without Staves there is no way I would have passed my Grade 1 piano exam in less than 12 months"
"If anyone is looking to learn an instrument, Staves is the place to go! " "I wouldn't hesitate to recommend them to anyone no matter what their age "